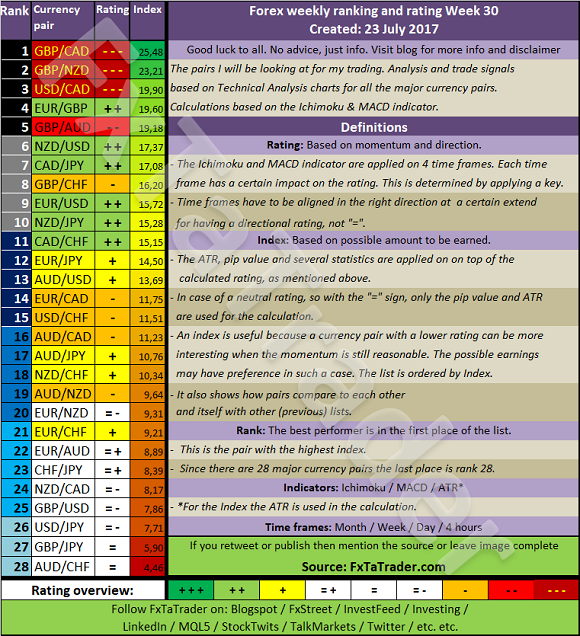 The Top 10 of the Ranking and Rating list for the coming week shows the following stronger currencies being well represented for going long: the CAD(3X) with the NZD(4X) followed by the EUR(2X) . The weaker currencies are the GBP(5X) followed by the USD(3X) and the JPY(2X). Neutral: CAD. The preferred range is 5. Weak: USD, JPY, GBP, AUD. The preferred range is from 1 to 4. The Chart for this week is the EUR/JPY Daily chart. Price is clearly in an uptrend and at the moment consolidating after the pullback towards 128,60. Price may go back again to 128,60. The PSAR is still not confirming to enter a long position. Once the PSAR changes to positive the 4H. chart may offer good information for the entry price. The MACD is also consolidating but this may become a higher bottom! 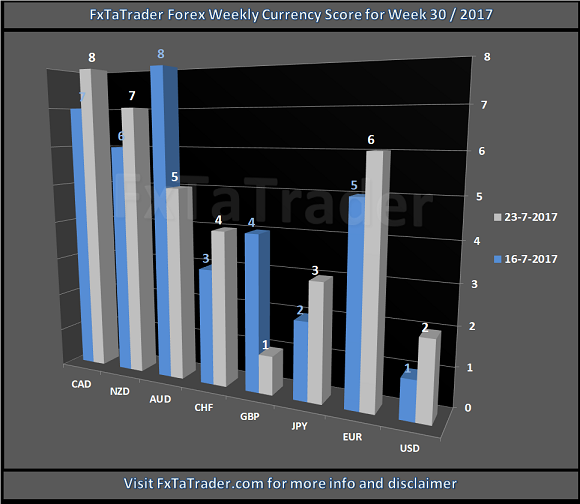 The EUR is a Strong currency and the JPY a Weak currency, the Currency Score Difference is 3.